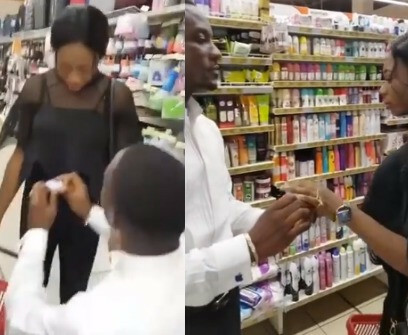 A young woman has turned down her boyfriend's proposal after he surprised her with a ring inside a mall in Onitsha. 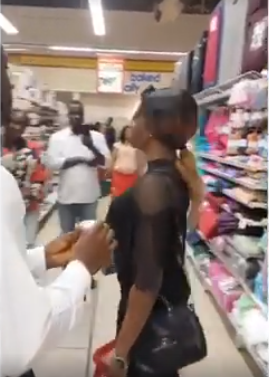 The embarrassing moment left many in shock, especially those who had brought out their phones to record the display of love. 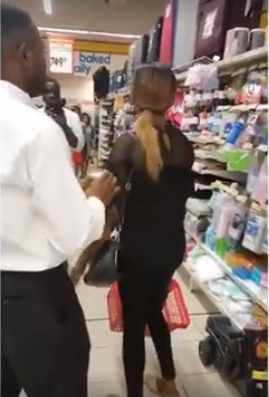 The incident has caused quite a stir on social media, with some wondering if the man is not 'capable'.